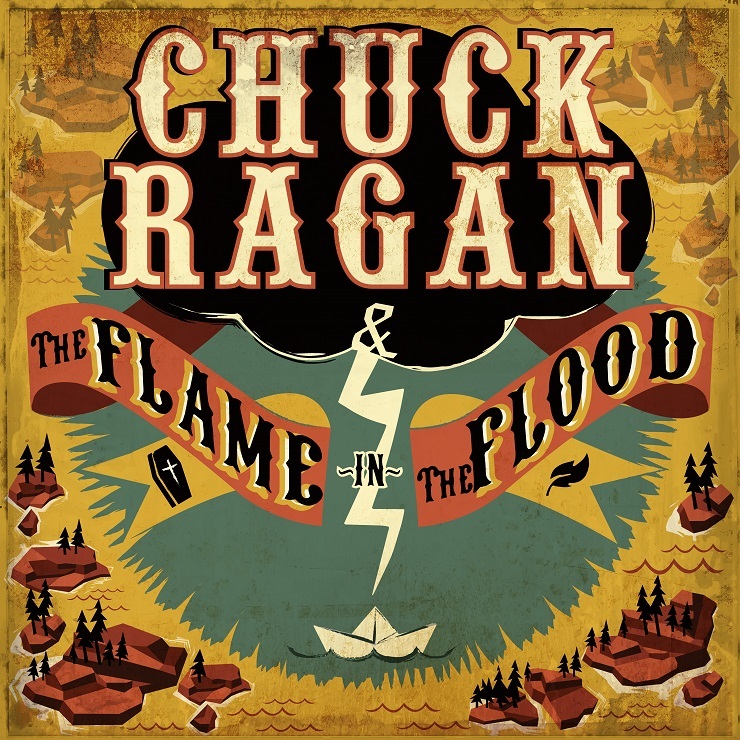 It's been a couple of years since Hot Water Music member Chuck Ragan announced he'd be contributing music to river-ridin' survival game The Flame in the Flood, and while the videogame has yet to hit the market, the soundtrack is about to be released. A press release confirms that Ragan's score for The Flame in the Flood will be released on February 4 through his own Ten Four Records. It includes Americana-styled pieces prepped by Ragan, with assistance from guest musicians including Cory Brannan, Jon Snodgrass, Adam Faucett and Ragan's backup band, the Camaraderie. The videogame will have players "scrounging for resources" and "evading the vicious wildlife" along river scenes inspired by sites including the Everglades, the Mississippi Delta and Louisiana Bayou. Fittingly, Ragan said in a statement that his music was written "while camping on the banks of the river or on solo missions drifting and rowing one of our local rivers." "The Flame in the Flood is a collection of songs of survival," he added. "Written from the perspective of a drifter, nomad and explorer, The Flame in the Flood will take you on a journey down that river in search of a safe haven." As previously reported, the videogame was prepped by the Molasses Flood, a collective including people behind BioShock, Halo, Guitar Hero and Rock Band. It was funded through a Kickstarter campaign. The ETA for the game has yet to be revealed. In related news, Ragan and the Camaraderie have a series of U.S. gigs coming up in February, while a few solo shows are booked for later in the spring. You'll find Ragan's schedule in full over here.